People are using internet for various purposes like looking for buying products, services, sales, retails market products, online gaming, entertainments and fun like Twitter, Facebook, movie reviews, looking information and many more. This is best advantage for portal based website. 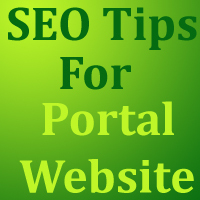 These Days we observed many websites are portal based websites. They analyse their target audience and then start with their campaign. Burrp.com, zomato.com, baratrealestate.com, etc portal website examples are very popular for information about cities specialty like Restaurants, Hotels, Shopping Malls, Movie Review, Travel places to visit near Pune, Mumbai etc. If you want to start making money from portal website they you need to know all about you interested area. Supposed you based from Pune and you started with Pune based portal website then it is your plus point, because you know Pune City very well as compare to other cities portal people. Make sure all website data should be correct and content should be keyword reached. Short list your targeted keywords for promotion. Need to verify your data frequently. Portal must have some interactive activity with people like review writing, rating, signup option. About Social Media marketing – create account on Twitter, Facebook and start promoting it. Analyse website traffic with the help of many tools like Omniature, Google Analytics etc. Start with SEO Process like Social Bookmarking which is Keyword based, Article Writing and promotion on Article Directories, Directory Submission, Classified Submission, and Local Business Directory Submission. All Process helps to get back links for your websites. Social Bookmarking is keyword based process to submit your website in Social Bookmarking website. Need to target main keyword for promotion promote with keyword reached description. Article Writing – Write Article with targeted keyword and promote it on Article Directories. Steps – Signup -> Add Author Name -> Add article with Keywords hyper link with Website URL ->Add Article Title, Article Summery, Author Bio and Keywords -> Submit. After some duration it will get approved by admin of Article Directory. Directory Submission – Need to submit website with title, description, keywords. It gets approved after some duration. Classified Submission, local Business Directory Submission is same as Directory Submission. points will help to promote website.